Petit fours* are often served as part of a pastry platter or the sweets course of a full afternoon tea. They're also wonderful to keep on hand in the freezer to serve with coffee or tea when unexpected guests drop by. 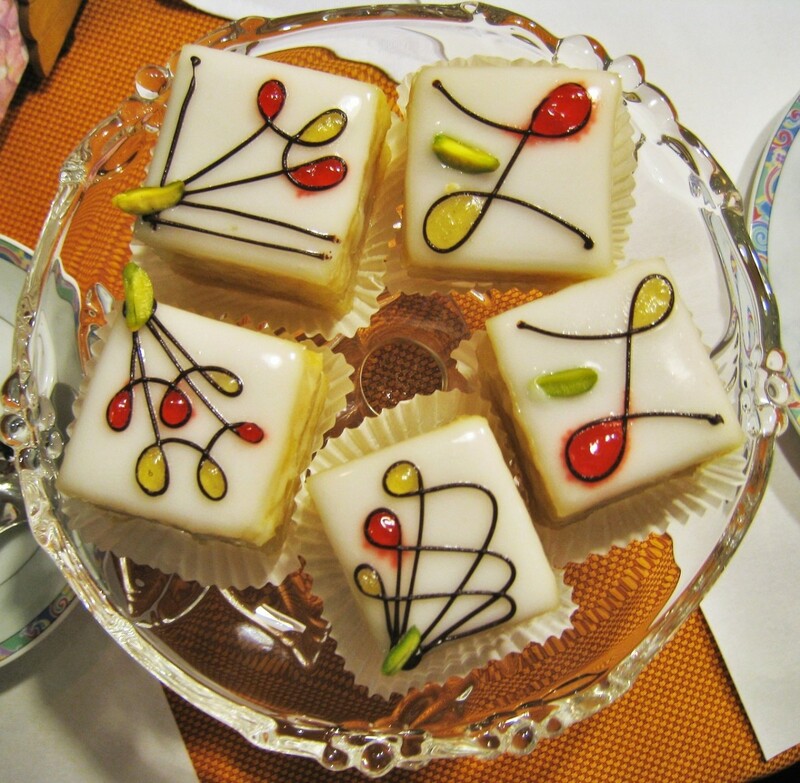 You can buy petit fours at a good bakery, of course, but they usually are quite expensive. Baking génoise cake layers from scratch and preparing traditional pourable fondant to ice them with produces delicious, beautiful results, but it's also very time-consuming and requires more sophisticated baking skills. Fortunately, there is a third option: a semi-homemade approach that uses store-bought pound cakes, a simple buttercream frosting and an easy pourable icing. Less sophisticated? Sure, but still very tasty. Best of all, you can focus on the decorations, which really is the fun part. When I was a girl, my mother used to make this quick and easy version so my sister and I could spend a few hours decorating these quick and easy petit fours, an activity we both adored. As we got older, we started making the buttercream and the pourable icing ourselves. So, even if you don't have a special occasion, this is a fun project to do with kids. *Although the original French spelling of these dainty treats is "petits fours", I've used the anglicized spelling in this recipe article. Remove the pound cake loaves from their wrappings and rewrap snugly in plastic freezer wrap (such as Freeze-Tite). Freeze the loaves for at least three hours; freezing overnight or a few days before you need to make the petit fours is fine. Freezing the loaves before trimming them helps minimize crumbs and keep the cuts clean. Use a very sharp, thin, long, serrated knife (a good bread knife is one option) to trim off the top, sides and bottom of each frozen pound cake so the top and bottom is flat and level and the sides are straight. Then slice each trimmed loaf horizontally into thin, even layers approximately 1/3-inch thick. Reserve 1/3 of the layers. Spread the tops of the remaining layers with a layer of jam topped with a thin layer of vanilla buttercream frosting. Cover the remaining buttercream frosting tightly and set it aside in a cool location (do not refrigerate). Stack two of the jam- and buttercream-topped layers and top with a reserved plain cake layer. Repeat with the remaining layers. Wrap each filled stack stack in plastic freezer wrap (I use Freeze-Tite) and freeze for 15 minutes to firm up the cake and fillings. Melt the jelly in a small saucepan over low heat, stirring often. Remove the pan from the heat, strain the melted jelly to remove any tiny lumps and allow to cool slightly. Remove the stacks from the freezer and use tall petit fours cutters and/or a long, sharp, thin knife to cut them neatly into small, uniform cubes, diamonds, triangles, circles, ovals, hearts or other shapes. Gently brush away any crumbs. Lay some large pieces of wax paper on the counter and center two large icing racks or cooling racks on top of the wax paper. Place the cutouts approximately 3/4" to 1" apart on the racks. Drip the warm jelly glaze from the tip of a spoon over the top and sides of each petit four in a thin, even layer, allowing any excess to drip through the racks onto the wax paper. 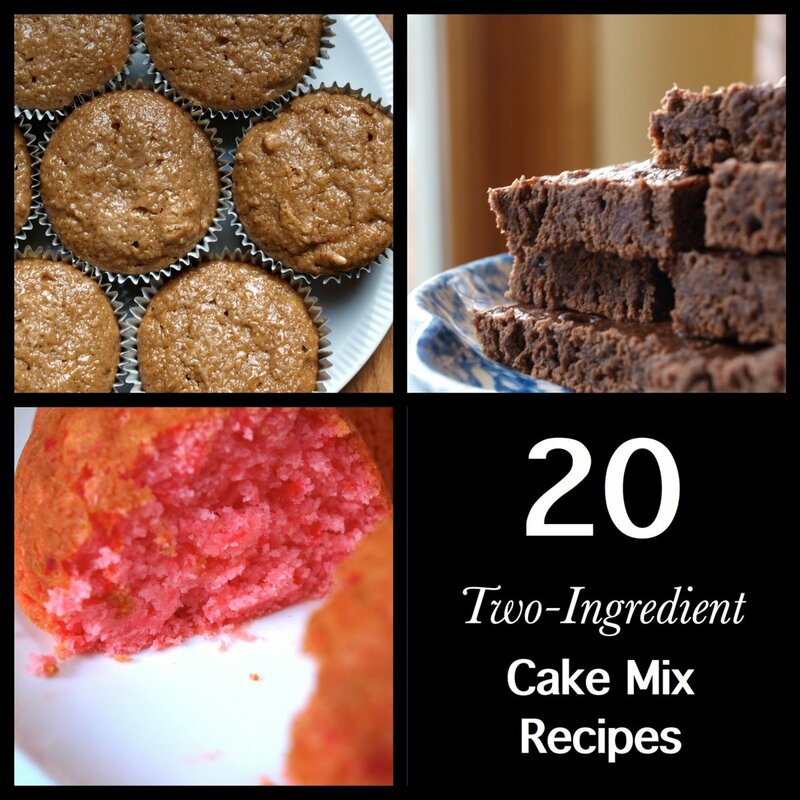 Allow the glaze to set for a few minutes, refrigerating the cakes if the kitchen is hot. Replace the jelly-covered wax paper sheets with fresh wax paper. Spoon the pourable icing very slowly and evenly over the top and then the sides of each petit four, allowing the excess to drip onto the wax paper. If you run out of icing, scrape up the excess icing from the wax paper and thin it with a few drops of milk or cream, if necessary. (If crumbs get into the icing on the wax paper, make a partial batch of fresh icing instead.) Allow the icing to set, chilling the cakes briefly in the refrigerator, if necessary. Move the petit fours from the racks to a baking sheet lined with fresh wax paper or baking parchment. Uncover the reserved buttercream and thin it with a few drops of milk or cream, if necessary, to restore the consistency. 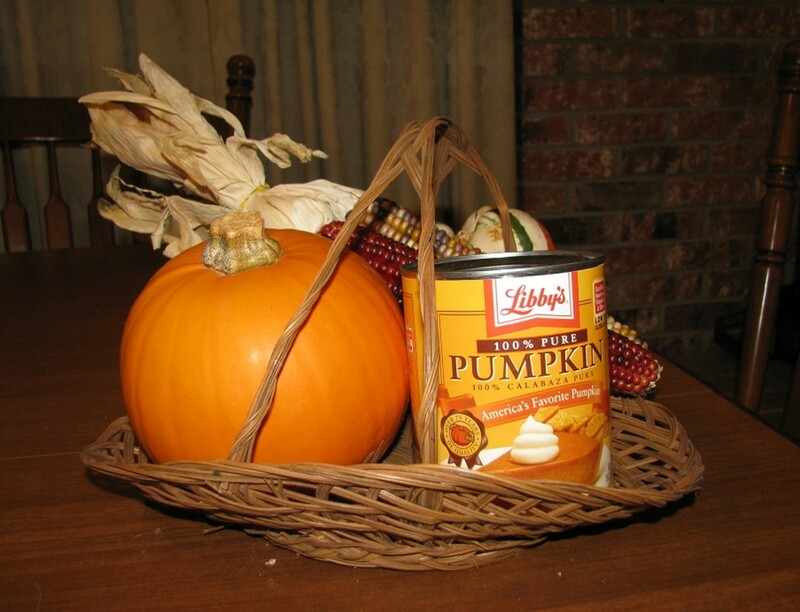 Tint it with gel paste food coloring, if desired, and place it in a piping bag with the decorating tip of your choice. 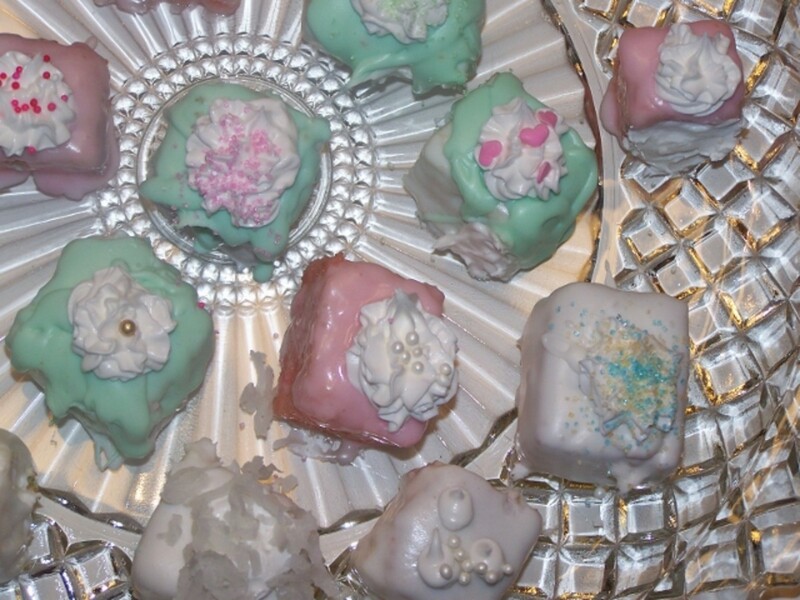 Decorate the petit fours with frosting rosettes, tiny dots, slender stripes, swirls, etc. 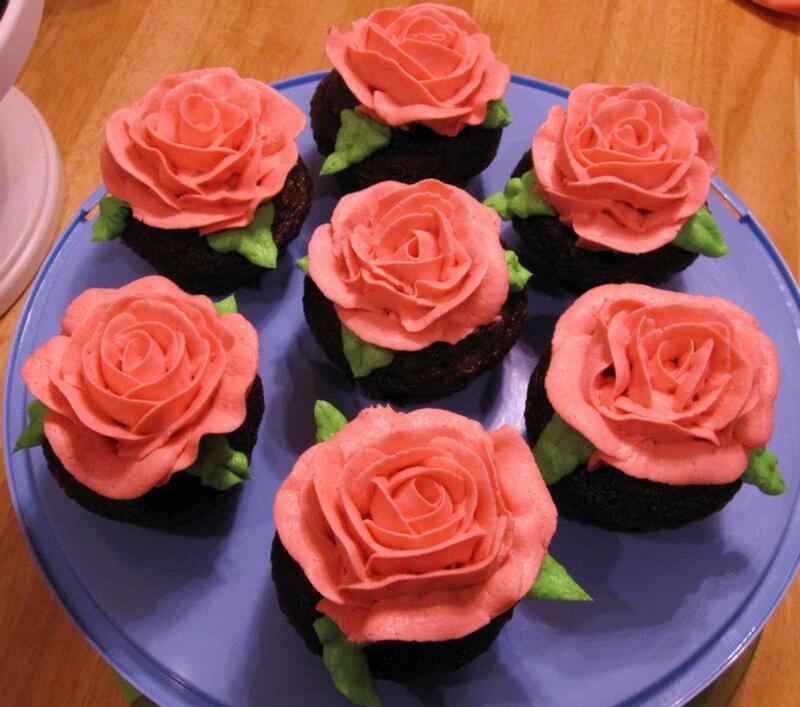 (You can also use purchased frosting for the piped decorations, although it won't taste as good.) 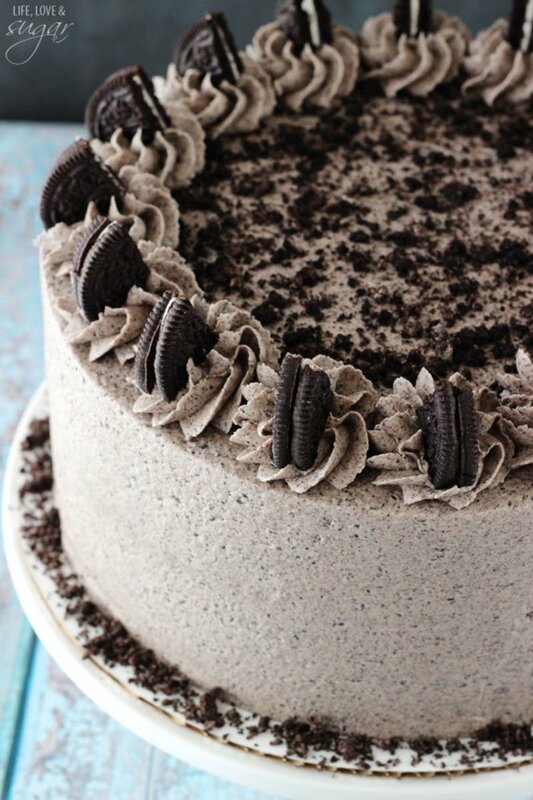 If you prefer, drizzle melted and cooled chocolate over the iced cakes in simple lines or ornate decorative designs. Add additional edible decorations such as nonpareils, edible glitter, silver dragées, nut halves or small, fresh berries. You can also purchase ready-to-use fondant and cut out tiny shapes with mini aspic cutters to decorate your cakes. Refrigerate the petit fours for 1 to 2 hours, then cover and store in the refrigerator until 30 minutes before serving time. Remove from the refrigerator, place on serving trays or plates, and bring to room temperature before serving. Like This Recipe? Please Rate It! I've been making my Mom's quick and easy vanilla buttercream recipe for decades. It takes less than 10 minutes to whip up a batch that tastes much better than store-bought canned frosting. It's quite versatile. I use it to fill and frost cakes and cupcakes and to pipe decorations. Note: This is an old-fashioned cake frosting and, therefore, very sweet by today's standards. Soften the butter at room temperature (NOT in a microwave!) until it can be cut easily with a butter knife. It's important not to let the butter get too soft, which would prevent it from being creamed to the proper consistency. Sift the confectioner's sugar onto a large sheet of wax paper. 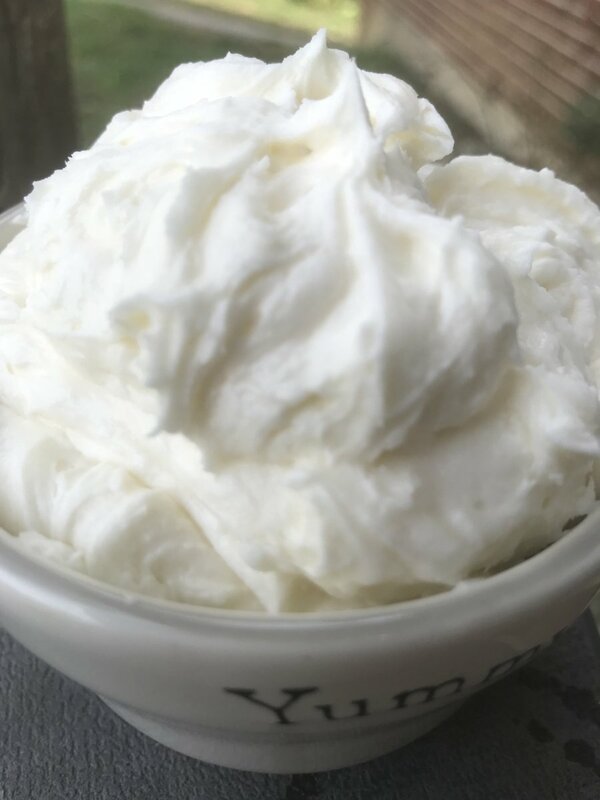 Cream the softened butter in the large bowl of an electric mixer at medium speed, using the mixer's paddle attachment and scraping the bowl and beaters occasionally, until the butter is silky smooth and paler in color (roughly 3 or 4 minutes). Reduce the speed to low and gradually add 3 cups of the sifted confectioner's sugar. Increase the mixer speed to medium. After about 30 seconds, add the vanilla extract, salt, and 2 Tbsp. of the cream. Beat for about 3 minutes, scraping the bowl and beaters once or twice. The frosting should be smooth, fluffy, and thick enough to hold its shape but thin enough to be piped easily. If it's too thin, beat in another 1/4 cup of confectioner's sugar at a time (up to 3/4 cup) to get the desired consistency. If it's too thick, beat in another tablespoon of cream (and a second, if necessary). Note: If you absolutely must have white rather than off-white buttercream, you can substitute clear imitation vanilla extract. But I find that the difference in taste versus pure vanilla extract is very noticeable (and not in a good way!). For a richer vanilla flavor, instead of using vanilla extract, stop creaming the butter after 2 minutes, then use a sharp paring knife to slice open a vanilla bean pod lengthwise and scrape the seeds into the butter with the knife tip. Cream the butter for another 1 to 2 minutes and continue with the recipe, omitting the vanilla extract. Dissolve 1 teaspoon of instant espresso powder in the vanilla extract before adding. Melt 2 ounces of unsweetened chocolate and cool to room temperature. Scrape it into the vanilla buttercream and beat until the color is uniform. If the frosting is too thick to spread smoothly, beat in another teaspoon of cream or whole milk. Repeat, if necessary, to reach the desired consistency. Substitute freshly squeezed and strained lemon juice for the cream and lemon extract for the vanilla. Beat in a teaspoon of finely grated lemon zest along with the lemon extract. It takes just a few minutes to whip up a batch of this thin, pourable icing, and you don't even need an electric mixer! You can leave it white, tint it to whatever shade you prefer or mix in unsweetened chocolate and cocoa powder to create a chocolate icing. This icing is very sweet; you may prefer the less sweet chocolate variation. For thicker coverage, wait until the first coat is dry. Then mix up another batch of icing and pour on a second coat. Sift the confectioner's sugar into a medium-large mixing bowl. Use a wire whisk to stir in the almond and vanilla extracts and 3 Tbsp. of the milk or cream until smooth. (Don't use a whisking motion; it will add air bubbles and prevent your icing from looking smooth.) If the mixture is too thick, stir in another teaspoon of milk or cream at a time (up to 3 teaspoons) until it has the consistency of a pourable icing. I grew up using old-fashioned liquid food coloring from the grocery store. Then, a few years ago, I discovered the joys of gel paste food color and I haven't looked back since! Why do I use it now instead of liquid food coloring? Highly concentrated - a small bottle lasts practically forever in my kitchen! No dilution, so I can achieve bright colors when I want to without thinning out the consistency of my batter, frosting or icing. My favorite brand is Americolor gel paste food color because, unlike some, it doesn't affect the taste and the colors are true and vibrant. Stir the melted unsweetened chocolate and unsweetened cocoa powder into the plain, untinted icing until the color is uniform. Taste and add a little additional unsweetened cocoa powder, if desired. Use homemade pound cake or génoise cake, substituting almond extract for the vanilla extract if desired, and bake in a sheet pan instead of a loaf pan so you don't have to slice the layers. Shorten the baking time accordingly. Lemon pound cake is also wonderful in this recipe. Immediately after glazing the cake stack cutouts with the warmed jelly, top each petit four with a matching cutout of very thinly rolled marzipan (NOT pure almond paste). This adds a layer of flavor and also makes for a much smoother top when iced. Let the jelly set before icing and decorating the cakes. Substitute the Poured Fondant Icing recipe from the King Arthur Flour website, which yields a thicker, more even, opaque and professional-looking coating than my Easy Petit Fours Icing recipe. Ice and decorate the cakes within a few hours before serving, but for this substitution, don't refrigerate or freeze them afterward. Substitute ganache for the pourable icing. Ina Garten's Chocolate Ganache recipe is rich, dark and delicious, extremely easy, and fast — just 5 minutes to prep and another 5 minutes to cook. You can use a sharp, thin, finely serrated knife to cut your filled (but not yet iced) cake stacks into squares, rectangles or diamonds. 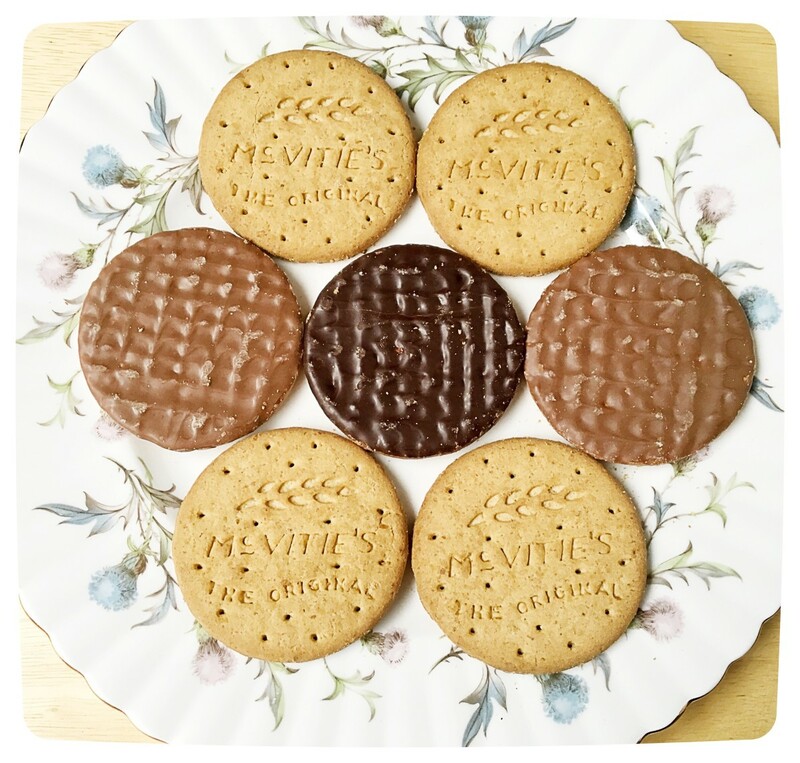 But if you want to make other shapes, such as circles, half-circles, ovals, footballs (ellipses) or hearts, you can't use regular cookie cutters because they're too short/shallow. Instead, use tall/deep cutters designed specifically for this purpose. You can buy them individually or in sets; the sets are a much better value if you want several shapes. I highly recommend the Ateco set of 9 petit fours cutters, which are made from stainless steel so they won't rust the way tin-plated cutters do. They're durable, well made and quite sharp, so they cut cleanly through stacked cake layers. At roughly 1,25" wide, depending on the shape, they are perfect for small, dainty petit fours. I've used Ateco brand products for years and I trust them. Embellishments can be as simple as a single fresh berry or piped icing dots or as sophisticated as chocolate lace or sugar glass. You'll find lots of ideas across that spectrum in my companion article on how to decorate petit fours. 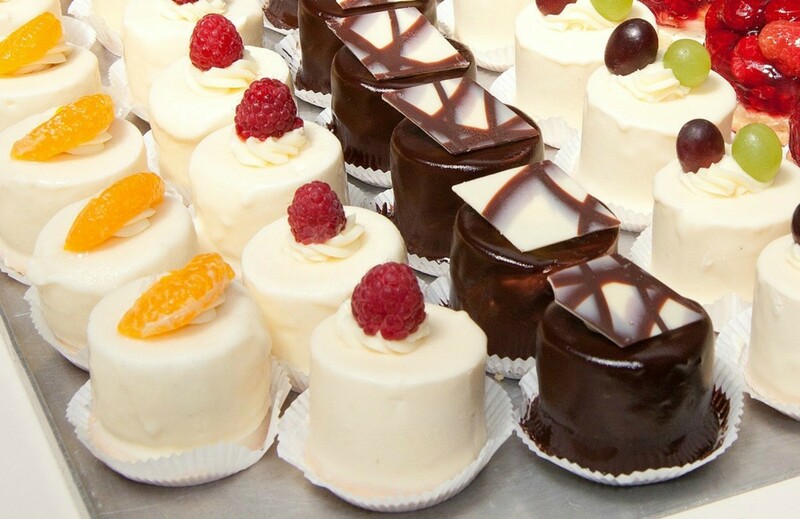 What Is Your Favorite Petit Fours Flavor? Thanks so much, Lorelei! Freezing the cakes before trimming them really does cut down on the crumbs and makes icing them easier and neater. I’m delighted that you found these tips helpful. I would never have thought to freeze the cakes before cutting them. The simple tips that make the display so perfect and are so very important when you are setting out appetizers and desserts for display on the buffet. These tiny cakes look amazing. Thanks, Marianne! I try to share enough information, along with tips, to make sure that readers can be successful the first time they make one of my recipes. 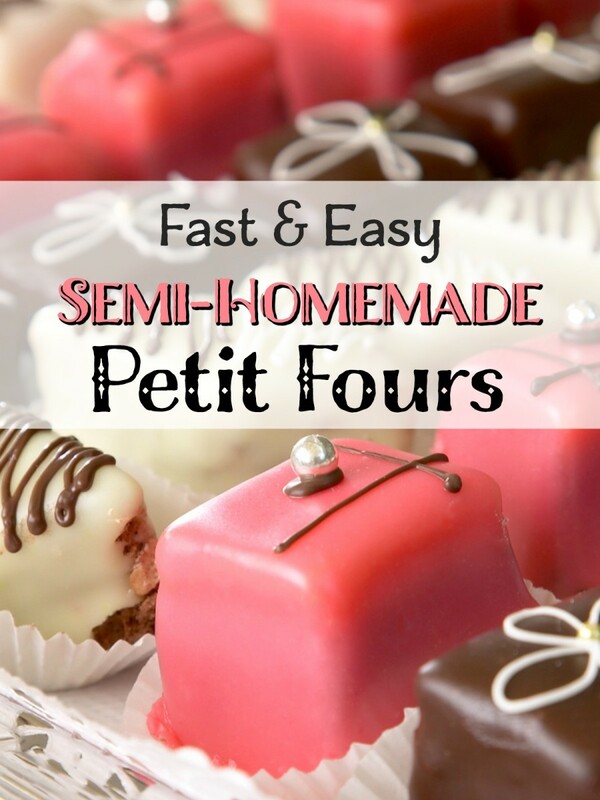 So glad you’re interested in trying my super easy petit fours recipe! These Petit Fours look so good. Will have to come back to visit more of your page to read the variations. You put a lot of effort into giving us so much information. Thanks very much, Mary. My late mom deserves the credit for coming up with a way to let us kids have fun decorating without waiting around for her to bake the cake layers! Love these desserts and you made it easy to make them. They look so lovely.